The Berkshire South 7th Annual 5K Run/Walk will be held Saturday, May 4 2019 at the Great Barrington Airport, 70 Egremont Plain Road, Great Barrington, MA 01230. The race, which will be held rain or shine will both begin and end at the airport. Please note: This is a pet-free event. Pre-register at berkshiresouth.org. The first 100 paid registrants will receive a long-sleeved race T shirt. The entry fee is $30 until 5 pm May 3rd. The race day price is $40. Children 7 years and under are free when accompanied by a registered parent or guardian. Awards and refreshments after race. Proceeds from the race will benefit Berkshire South’s Teen Outreach Nutrition Exercise program (TONE) as well as other youth-oriented wellness programs. To learn more about Berkshire South or for more race information visit berkshiresouth.org. For more race information call Steven at (413) 528-2810 ext 35 or email sleonard@berkshiresouth.org. 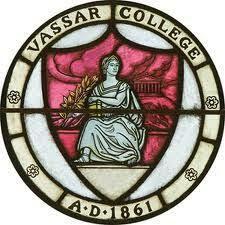 The Vassar College Halloween 5K Fun Run will be held Saturday, Oct. 27, 2018 at Vassar College in Poughkeepsie, NY. Parking is in North Lot off of Collegeview Ave. The event is sponsored by Vassar College Health Education Office, RunVassar and support of Mid-Hudson Road Runner. There is no entry fee for this race but participants are asked to donate to Family Services Domestic Violence. To receive a finishing medal, participants must cross the finish line with a registration number. There will be no individual timing. To register visit mhrrc.org Costumes are enthusiastically encouraged. 11:00 am Race begins at North Lot off of Collegeview Ave. Noon Trick or treating for the kids begins at North Lot for lineup and procession. Costume judging and trick or treating at Vassar Residential Quad. All children must be accompanied by a parent or guardian. This event is sponsored by the Town of Poughkeepsie recreation Dept., DC Youth Bureau, Vassar College Health Education Office, Vassar Residential Houses and a Community Grant. For more information call (845) 437-7769. Proceeds from event donations will benefit Family Services Domestic Violence. Find race flyer at mhrrc.org. The Fall Fest Charity 5K Rail Trail Race will be held Saturday, Oct. 6, 2018 at the Salisbury Ski Jumps (Satre Hill), Indian Cave Road, Salisbury, CT. The 5K race, which is sponsored by the Housatonic Youth Service Bureau (HYSB), will both begin and end at the ski jump property. The race is an out and back event using the Rail Trail. Participants are asked to park in the field and walk down the gravel road to the ski jump area. Register at the Byrd House. There is no entry fee for the race, but donations will be gladly accepted. There is no pre-registration, but entrants must register race morning. Water and fruit for participants after the race. 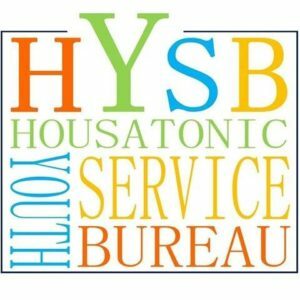 Proceeds from the race will benefit HYSB to help fund a variety of services for at-risk youngsters and their families in the Region One School District of Northwestern CT.
To learn more about Housatonic Youth Service Bureau visit hysb.org. For more information about the race call Caitlyn at (860) 824-4720. 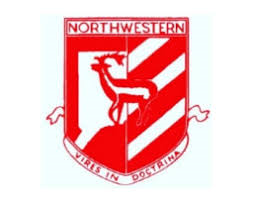 Thank you to the Northwest Corner Prevention Network for their sponsorship. 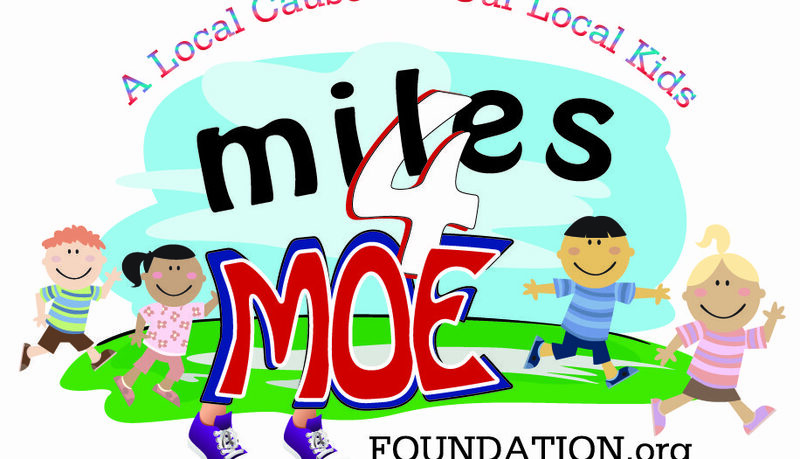 Miles 4 Moe , 9th Annual, will be held on Sunday, September 16, 2018 at Camp Moe, 1145 Brandy Hill, Torrington, CT. Both the 5K Race and Walk begin and end at Camp Moe, rain or shine. Register online – go to fasttracktiming.com search for “Miles 4 Moe” or register on race day for an additional $5. The registration fee for the race is $30 for adults, $20 for students 18 years and under and $50 for families with 4 or more members (no race giveaways). There is a $10 fee for picnic only. The registration fee includes the race/walk, awards ceremony and after-race picnic. The first 100 registrants get a “Race Giveaway” (except “Family” registrants). Prizes will be awarded to the top overall male and female finishers as well as 1st and 2nd place finishers in various age categories. The Harvest Fest/Miles 4 Moe Race, along with the Miles for Moe Foundation were established to honor the life of Emil “Moe” Renzullo, Jr. who passed away in 2010 at age 12 from leukemia and who loved going to camp. Proceeds from the race will benefit camperships for deserving children at Camp Moe as well as other child-oriented causes in the area. Law Office of Robert Dwyer, Jr. The 25 Years of Hope Fun Run/Walk will take place Saturday, August 11, 2018 at Vassar College Campus, 124 Raymond Ave., Poughkeepsie, NY 12604. This is a family-friendly event which is run within the confines of the Vassar Campus and integrating activities such as a scavenger hunt along the way. To register, visityouthmissionoutreach.org or call (845) 473-5449. Pre-registration ends 8/8/18. Free T shirts to the first 75 registered runners or walkers. You can sign up on race day morning. Prizes, raffle, games, music and more. Proceeds from the event will support the Youth Mission Outreach 25 year commitment to the youth and their families in the Poughkeepsie area. 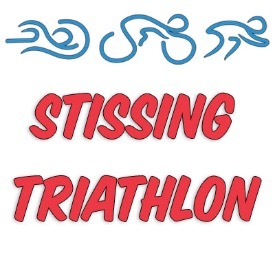 The Stissing Sprint Triathlon/Kids’ Triathlon will be held Saturday, June 30, 2018 at Lion’s Community Center, Stissing Lake Road, Beach Road, Pine Plains, NY 12567. Proceeds from this year’s tournament will benefit the Sunday in the Country Food Drive. The adult (over 17) Sprint Triathlon and AquaBike events feature .5 mile swim, 16.5 mile bike (hilly) and 3.3 mile run. The Kids’ triathlon for youngsters 11 and under features a 100 meter swim, 3 mile bike and 1 mile run. For youngsters age 12-17 the event features 200 meter swim, 6 mile bike and 1 mile run. To register online go to localraces.com/hudsonvalleytriathlonclub/stissing-triathlon. Individual Sprint $60; Relay Team Sprint $75; AquaBike sprint $40 and Kids’ Sprint Triathlon $25. After 6/19 the fees increase to $75, $90, and $55 respectively. The Kids’ triathlon fee remains the same. T-shirts available (check contact number below for details). 6:00 am Check in, packet pickup and race-day registration. 12:00 Noon Kids’ Sprint Triathlon begins. Awards, BBQ and music after the races. Kids and adult awards in all age categories. Proceeds benefit the Pine Plains Recreation Program. For more information call Mark Wilson at (914) 466-9214 or email him at coachmarkwilson@gmail.com. The Relay For Life of Berkshire County, There’s No place Like Hope, will be held on Friday and Saturday, June 22-23, 2018 at the Monument Mountain Regional High School, 600 Stockbridge Road, Great Barrington, MA. Although the time spans may vary (anywhere from six to 24 hours), the schedule for all of the Relay for Life events pretty much follows a standard format. Relays include an Opening Ceremony followed by the Survivors Lap, the Caregivers Lap, the Luminaria Ceremony and Closing Ceremony. 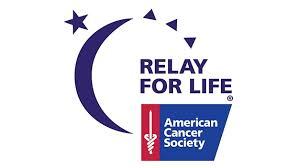 For more information about the Relay For Life Berkshire County call Mahsoun Choudhury at (413) 493-2122 or email him at mahsoun.choudhury@cancer.org. 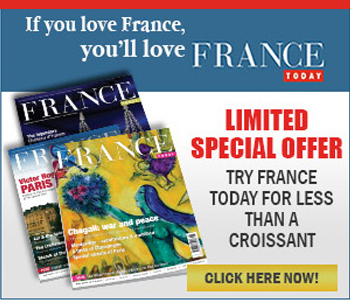 For more information about the benefiting programs go to cancer.org. Hopped Up for Health 5K/12K and 50 Mile Ride will be held on Saturday, June 16, 2018 at Big Elm Brewing, 65 Silver Street, Sheffield, MA 01257. This is the event’s second year. The race includes a 5K, 5K for 12 year olds and under, 12K and, new this year, a 50 Mile Bike Ride (non-competitive) which includes a Strava route. 50 Mile Bike register ONLINE ONLY (no race day signup for bikers) at bikereg.com/hopped-up-for-health-50-mile-ride. T shirts to the first 200 registrants, both running and biking. 5K pre- reg. $25, race day $30. 50 Mile Bike $45 (pre-registration only). Deadline 5:00 pm, May 15th. 9:00 am Bike Race starts. Awards , music, food vendors including pirogues, handmade sausages and more, as well as limited free massages after the races. Prizes awarded to top male and female finishers in seven age categories. One free Big Elm beer for each entrant 21 years and older. For more information about Volunteers In Medicine visit vimberkshires.org. For more race information email jbliss@vimberkshires.org or call (413) 528-4014 or visit berkshirerunningcenter.com or email bigelmbrewing@gmail.com. The Camp Jewell Bug Juice 5K Fun Run/Walk, 8th Annual will be held Saturday, June 16, 2018 at Camp Jewell YMCA, 6 Prock Hill Road, Colebrook, CT 06021. The 5K will travel scenic trails on Camp Jewell’s 54 acres as well as winding country roads. The race will be timed by Greystone Racing. No pets please. Pre-register online at campjewell.org/funrun or find mail in forms at greystoneracing.net. Pre-registration ends June 1st. Free T shirts to the first 100 registrants by June 1st. Here are the entry fees: 5K – $20 until June 1st From June 1st to Race day $25. Families of 3 or more living in same household $60. New this year- teams with themed costumes encouraged to register (prizes for best). There is child watching available during race. 10:00 am Awards and fun activities including obstacle course, canoeing, hayrides and more until noon. Buffet lunch available for $5. Awards to top male and female overall finishers as well as top finishers under 50 minutes in each of six age categories. And prizes to best team costumes. Proceeds from the race will benefit Camp Jewell YMCA’s Annual Campaign which “enables hundreds of kids who would otherwise never have the opportunity, to experience the joys of summer camp”. For more race information call Samantha at (860) 379-2782. To learn more about Camp Jewell visit campjewell.org. A special thank you to CCUSA and the Lion’s Club of Colebrook for their generosity!